One of the most popular poker tournaments, part of the 2015 World Series of Poker (WSOP) schedule, the $ 50,000 buy-in Poker Players Championship_ concluded last weekend with Mike Gorodinsky turning his game a notch. Recall that two weeks earlier, Gorodinsky had seen himself teeing against notable Phil Hellmuth in the $ 10,000 Razz Championship, but he eventually had fallen short to runner-up. Though the format of this event experienced noticeable change, nothing would prevent Gorodinsky from surging towards the title. By beating Jean-Robert Bellande in the heads-up, he grabbed the top prize of $ 1,270,086 and his second gold bracelet. Plus, the name of the freshly-crowned winner was added to the prestigious list of champions on the Chip Reese Memorial Trophy. Other enticing poker events also concluded the same day at Rio All Suite, Las Vegas. The $ 10,000 buy-in Pot-Limit Omaha is part of them. Alexander Petersen was the last man standing in this race. He won his very first WSOP bracelet. 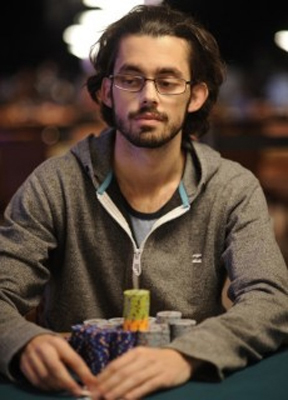 Recall that Peterson topped, among others, a number of high-profile rivals, including USAs Jason Mercier. As for the $ 3,000 No-Limit Hold'em, Justin Liberto wrapped it up by sealing the win. The young Baltimore-based poker player aged 26 notched his first WSOP trophy by dethroning Seamus Cahill in the final showdown. Alongside the gold bracelet, he was also awarded a whopping payday of $ 640,711.